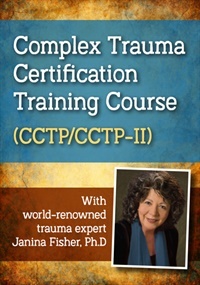 Janina Fisher, Ph.D. is a licensed clinical psychologist and former instructor at The Trauma Center, a research and treatment center founded by Bessel van der Kolk. Known as an expert on the treatment of trauma, Dr. Fisher has also been treating individuals, couples and families since 1980. She is past president of the New England Society for the Treatment of Trauma and Dissociation, an EMDR International Association Credit Provider, Assistant Educational Director of the Sensorimotor Psychotherapy Institute, and a former Instructor, Harvard Medical School. Dr. Fisher lectures and teaches nationally and internationally on topics related to the integration of the neurobiological research and newer trauma treatment paradigms into traditional therapeutic modalities. 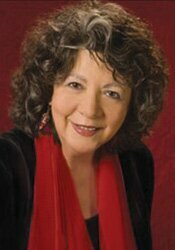 She is co-author with Pat Ogden of Sensorimotor Psychotherapy: Interventions for Attachment and Trauma (2015) and author of Healing the Fragmented Selves of Trauma Survivors: Overcoming Internal Self-Alienation (2017) and the forthcoming book, Working with the Neurobiological Legacy of Trauma (in press). Financial: Janina Fisher is in private practice. She receives a speaking honorarium from PESI, Inc.
Nonfinancial: Janina Fisher has no relevant nonfinancial relationship to disclose.